The key is to understand that social media is ultimately about stories; social media provides the perfect platform to share stories. Susan Owens builds and transforms your success stories into unique, pervasive, and powerful social media assets to ensure your audience discovers, engages with, and is inspired to action. To be successful, the message needs to be carefully and thoughtfully constructed so that it has meaning and value—the story must entertain, inform and inspire. 24×7. How do you feed the never-ending social media machine? Susan Owens helps clients strategize which channels to focus on, which audiences to reach, while tailoring social media content to match the platform. Social Media is never static. There is always fine-tuning the content and the platform to optimize the program based on the results and engagement we see. Look at some examples of how Susan helps her clients build a strong sustainable community through social media. 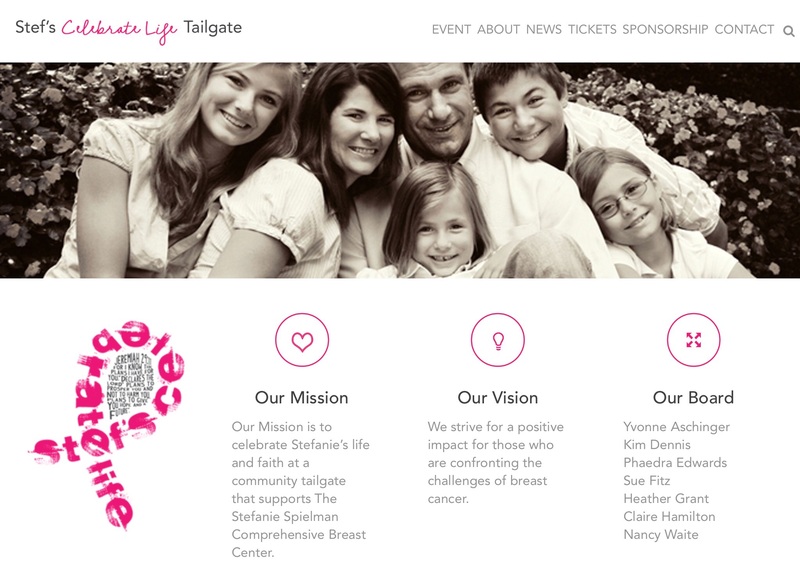 Stef’s Celebrate Life Tailgate raises thousands of dollars each year to donate to the Stefanie Spielman Comprehensive Breast Center for equipment. The challenge was to find a way to sustain the tailgate’s momentum throughout the year, while extending awareness of the tailgate beyond Upper Arlington. Susan began by building content around the tailgate’s key milestones that occur throughout the year, focusing on key areas: event plans, updates from Drs. Farrar and White about the research and patient benefits of the equipment, and news about donations. To execute the plan, Susan oversaw a stunning website re-design that included a versatile blogging platform. Each story begins with a blog post that serves as a social media anchor to launch Mail Chimp newsletters, Facebook and Twitter updates. The first year the plan was implemented, the tailgate saw an increase of 25%. 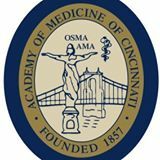 Since 1857, TheAcademy of Medicine of Cincinnati has been the only professional advocacy group for physicians working in Hamilton County. Increasingly, their member physicians were turning to their smart phones, downloading apps to manage patient care. With no mobile-or social media platform in place, the Academy wanted to serve their members on their phones. Susan helped to create a mobile voice for the Academy. First, surveys were conducted to determine where members spent their time online, where they were currently getting news and updates, and what information they wanted to share, and with whom. The key findings revealed that physicians were more interested in using social media as a way to interact with other physicians on peer-related reviews, research findings, health care reform and legislative issues. This allowed the Academy to build a peer-generated social media platform with key content that focused on physician member needs, positioning the Academy as a partner in supporting its members with the key information they needed to ultimately care for their patients. patient care, the Academy of Medicine stepped up to create a social media network to keep physicians informed of breaking health care reform updates, legislative issues and as a way to link physicians with other physicians and the community. Surveys were conducted to determine where members spend their time online, where they are currently getting news and updates, and how information is shared between doctors. With GPS navigation tools available in cars and Google Maps on mobile phones, AAA needed a way to show its value to its members. Susan was engaged to show AAA’s value, positioning them as a safety and information resource, and reliable service for young drivers. Susan conducted keyword research to find out what prospects were searching for in the area of auto safety. Several categories appeared, including booster-seat guidelines, teen driving, winter driving and road safety. Using this data, Susan created stories that appealed to parent’s need for information, while weaving emotional aspects of safety into the stories. 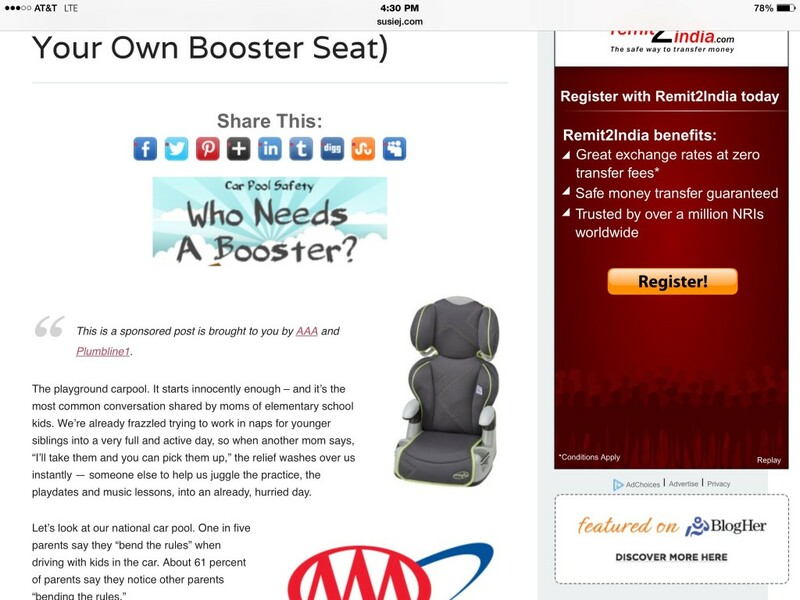 Toddler seat selection was combined with the proposition about whether time-saving carpools were safe. Teen driving became a story about the gift of quality time spent with your teen. Weather reports were translated into safe driving tips. Reader engagement was created through contests and Facebook updates. In Ohio the story reached over 68,000 viewers in on month. Neoprobe is a biopharmaceutical company focused on the development and commercialization of precision diagnostics and radiopharmaceutical agents. Neoprobe is actively involved in clinical trials for the RIGScanTM CR – to help identify the sites and pathways of undetected disease. The challenge was to manage the flow of information regarding clinical trials, complying with government mandates, keeping stockholders, analysts and doctors informed about the latest results and innovations of the company. With no formal media relations strategy in place, the challenge was to institute scheduled updates that revolved around the company’s news and developments, keeping news about the clinical trials in the forefront. A crisis communication plan was implemented, along with media training to prepare executives for less favorable results in the clinical trials. This communication strategy allowed Neoprobe to focus its news on its growth and shareholder return by focusing on the company’s commitment to bringing to market novel radiopharmaceutical agents and advancing the Company’s pipeline through acquisitions, global partnering and commercialization efforts. The America Is Your Park campaign is a pathway for Coca- Cola to engage individuals in collaborative efforts to bring needed funds to America’s national parks. Since the campaign began in 2010, Coca-Cola has donated more than $1 million in recreation grants to provide needed repairs, new equipment and infrastructure to our park system. Coca-Cola worked with Susan and bloggers to select a favorite park in Ohio. Coca-Cola supplied the “party.” The blog invited readers to create their own party at the park, by registering at Coke.com/Parks and linking their foursquare and MapMyFitness accounts. People logged daily fitness activities, attended field day events, and went outdoors to visit their local parks. Social media accounts logged more than 72,000 hours of activity and more than 1.4 million votes, and over $100,000 in grants for park upgrades. The more you move, the more it works. This was the science behind the Degree™ Motion Sense Technology release. Degree approached Susan to help create a campaign to educate women about the protection of their products, encourage women to get the courage to do more physical activity, and to create an online community where they could share their adventures. By using regional blogs to promote a “move challenge,” readers learned how to log their “miles” into the Do:More Facebook page, to earn points for discounts on Degree products. Within two months, the zero likes on the Do:More Facebook page jumped to 900,000 within 3 months. Women read the stories about the first time parachuting, mountain climbing or skiing, and were inspired to take their own risks and do more.